Now that you cannot smell the perfume nor look at the smile, as you would have done in normal life, when you date or chat with people online, notice if they like to put flattering photographs and talks about his or her positive qualities. If it is specifically done for you, you know that the person likes you and wants to give a good impression. Does the person write and chat? Do they use a lot of LOLs, winks and smileys? Well, that might communicate that they are looking for closeness and familiarity. When the person compliments you, you know that they like you and are very specific about the qualities that interest them. Additionally, compliments tell about what they like about you. 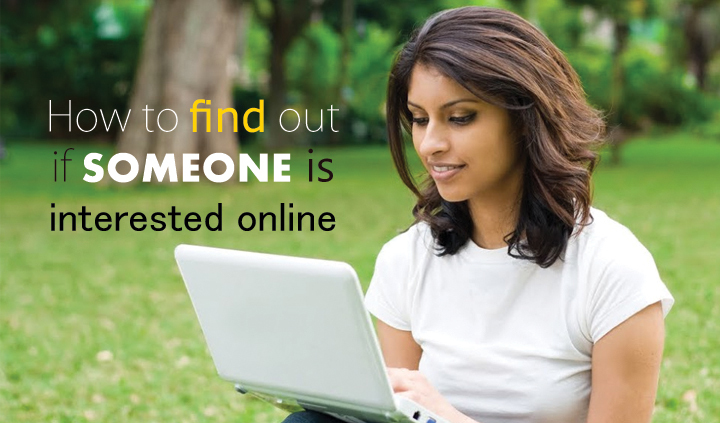 If your chat messages and offline messages are responded quickly, the person is interested online. It shows excitement about conversing with you and that is a sign that someone is interested in you. As you grow close, sharing and self-disclosure about his or her life means that the individual trusts and feels that you are a close to them. Listening is equally important as sharing, so if you are interested in him or her, you’ll be attentive.So be attentive to small signs and subconscious signs of attraction to understand how to find out if someone is interested online.